Jack Elka sends his drone camera high over Anna Maria Sound for a bird’s eye view of Grassy Point looking west toward the Gulf of Mexico. The eastern end of a boardwalk that takes visitors through the mangrove hammocks is visible on the bayfront. It’s official: The reopening of Grassy Point Preserve in Holmes Beach is set. Commissioners approved at their March 28 meeting a private opening of Grassy Point from 11 a.m.-12:30 p.m. Wednesday, April 19. The opening for the public will follow at 12:30 p.m. The early opening provides city officials an opportunity to thank special people who participated in “years of hard work to get Grassy Point back in shape,” said Mary Buonagura, the city human resources analyst who has helped coordinate the preserve improvements for the past four years. The April date was selected so Anna Maria Elementary School students could participate in the event, which will include a ribbon-cutting and welcome by Mayor Bob Johnson and a tour of the preserve, east of the 3200 block of East Bay Drive and fronting Anna Maria Sound. Island mayors and commissioners are expected to attend, along with Manatee County officials and special guests from Holmes Beach public works, the Sarasota Bay Estuary Program and AME, among others. “I’m excited about this very much,” Commissioner Carol Soustek said. The preserve was acquired in 2001 by the city of Holmes Beach with a $359,945.51 grant from Florida Communities Trust, the granting agency monitored by the Department of Environmental Projection. 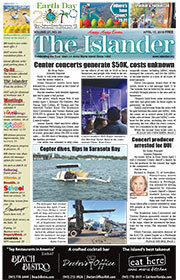 The city also received grants from the U.S. Fish and Wildlife Service and Southwest Florida Water Management District, both managed by the Sarasota Bay Estuary Program, to remove exotic and invasive species of plants and trees. 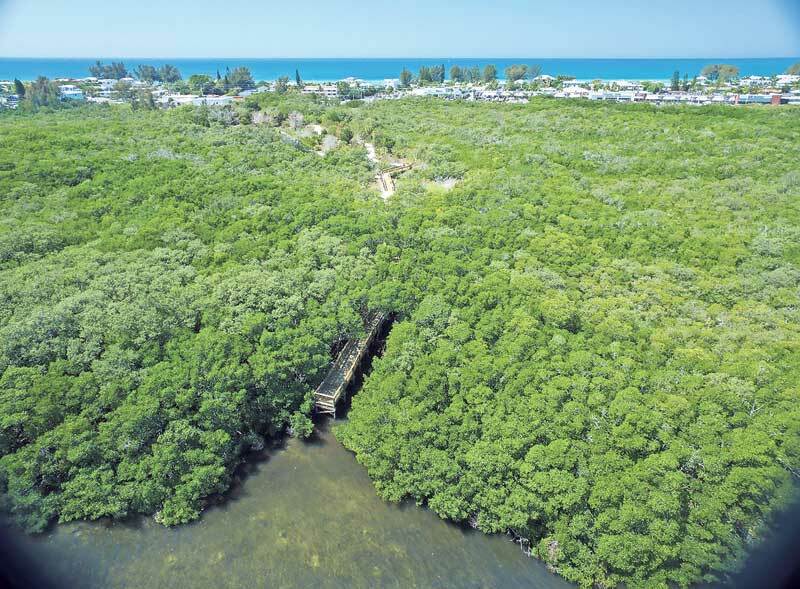 New features of the 34-acre preserve, the largest undeveloped parcel in the city besides the beach, include a boardwalk that extends the shell trail through natural wetlands and mangrove hammocks where bats, foxes, vultures and other critters roam. In February, commissioners voted 3-2 to approve a $330,000 purchase of two adjacent lots for a potential parking lot for the preserve. At their March 28 meeting, commissioners unanimously adopted an ordinance acknowledging the relocation of unrestricted cash reserve funds to acquire the two lots from Clyde Dickey. According to city treasurer Lori Hill, the contract is in place, and the land acquisition ordinance moves the funds after the fact. At press time, the two parcels, 3019 and 3021 Avenue C, are still owned by Dickey, according to the Manatee County Property Appraiser website, but excavation is underway. It may soon provide ample parking. The preserve entrance is at the northern terminus of Avenue C.